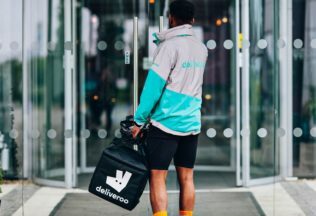 Deliveroo has denied any suggestion that it will be competing with its customers when it extends its services into facilities that produce restaurant meals. Levi Aron, the national manager of Deliveroo Australia said that its new Deliveroo Editions brand will not be competing with its restaurant clients. “This global initiative by Deliveroo will see Deliveroo partner with restaurant, not compete with restaurants,” Aron said. “The whole point of Deliveroo Editions is to work with our great restaurants and bring supply to the demand. “Through Deliveroo Editions restaurants are able to extend their presence to areas that either don’t have a great selection of restaurants or areas that are missing cuisines,” Aron said. The reputation of Deliveroo has made its name as one of the premier global food delivery services with now over 3,800 restaurants signed up to its platform Australia-wide. Deliveroo is a British headquartered company that launched in Australia in November 2015 and its new Deliveroo Editions concept has already been tested in Britain, the Netherlands and Dubai. Restaurants will be provided with workspaces in exchange for a higher commission fee for using the Deliveroo platform. Each Deliveroo Editions location will have eight or nine purpose-built kitchens fit for delivery, with each allocated to a different restaurant brand. In effect, Deliveroo is setting up a production system for its restaurant suppliers with a site allocated to each different restaurant brand.